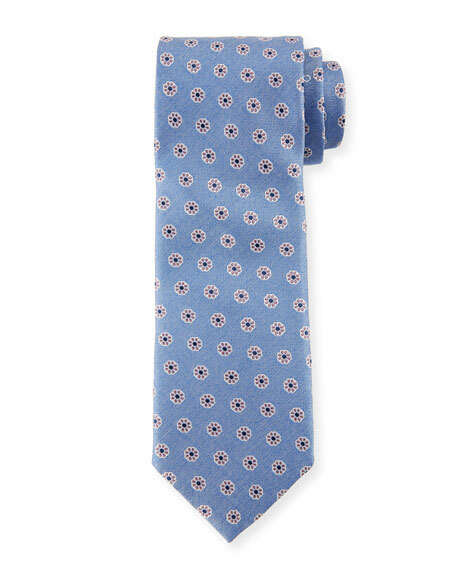 Bigi tie in tonal floral jacquard. Approx. 3.1"W (8cm). Silk. Handmade in Italy. Canali tie in warped diagonal stripes. Silk. Made in Italy.